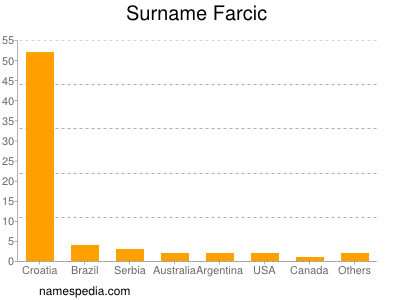 We have no records about Farcic being used as firstname. Efternamnet Farcic används minst 68 gånger i minst 9 länder. Böcker: "Farce and farcical elements" "On the verge: a farcical comedy" "Panic stations: a farcical comedy" "Bab a farcical comedy in four acts"